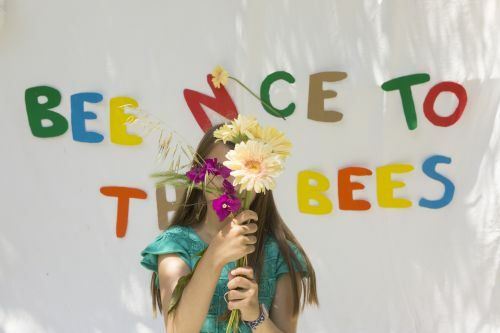 The Bee Camp’s vision is a future with cities in which people and nature co-exist in harmony. Its mission is to inspire and empower communities to make cities a better place for pollinators through education, awareness raising and a holistic approach to social change. The mission starts with two challenges: 1. people living in the cities are disconnected from nature, and 2. the population of native pollinators is decreasing dramatically. Nearly one in ten wild bee species face extinction in Europe. More than 1,200 species of bees are found in Greece and The Bee Camp is committed to their conservation. The project focuses on the future by providing hands-on workshops for children. At the same time, it creates city havens, or “Bee Spots”, consisting of bee-friendly flowers and insect-hotels, providing safe habitat for the pollinators. It is about to launch the “Athens Bee Path”, a safe pathway for the protection of urban pollinators, with the installation of a series of Bee Spots.